Beating Texas, Texas A&M, and LSU in the same season is quite a feat. Pitching shutouts against those traditional powerhouses by a combined score of 56-0 on the road (in the span of five days) is badass. 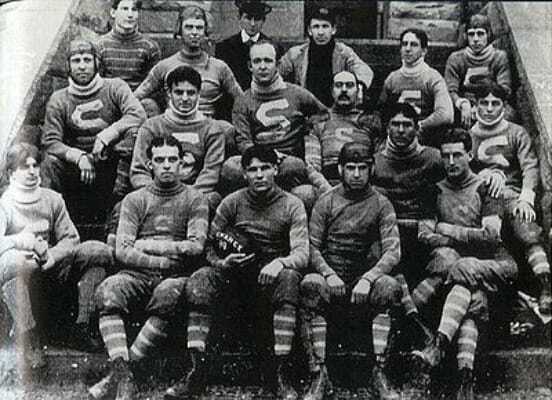 The 1899 Tigers were undefeated, outscoring their opponents, which included Tennessee, Georgia, Georgia Tech, Auburn, and North Carolina in addition to the aforementioned power trio, 322-10. They went on a five stop, six day road trip in November of that year, beating Texas, Texas A&M, and Tulane in three consecutive days. They then took a day off, and beat LSU and Ole Miss in another back-to-back. All while taking grueling, long distance trains. Badass.